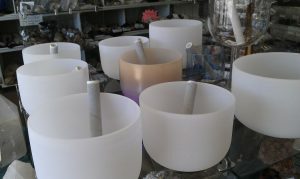 Beautiful singing crystal bowls. Large selection to choose from! 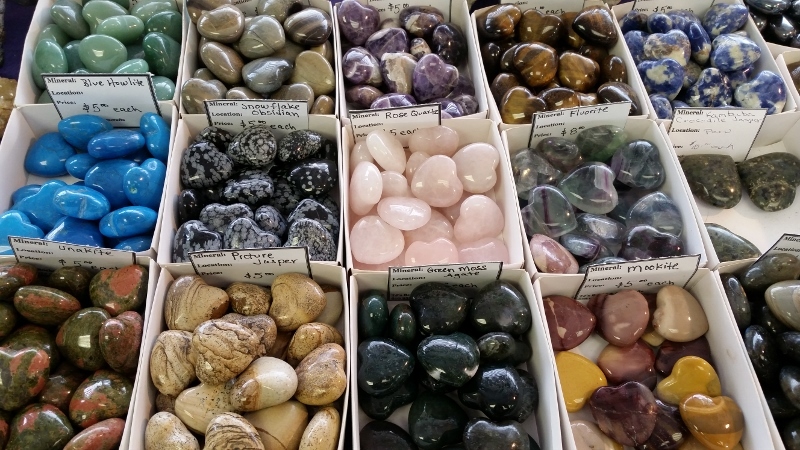 TJ’s Rocks & Gemcrafts is a home-based business operated for over 45 years. TOM ENNIS is the owner along with his wife Sherry. TJ’s opened a retail shop in Downingtown, PA and in the 6 years since opening have become the place to go for crystals. Since the opening in 2008 we have incorporated our 3,500 square foot wholesale warehouse as part of the business. 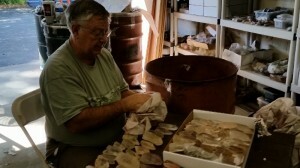 From Tom: So how did I get started in the rock business? I was about 8 years old and living in Buffalo, New York when my Dad and his friend decided they wanted to look for uranium in the Adirondack mountains in upstate New York. During the exploration for uranium it was necessary to blast the mountain to see what was under the ground. After the blast I would run up and look for any crystals that were uncovered from the blast. 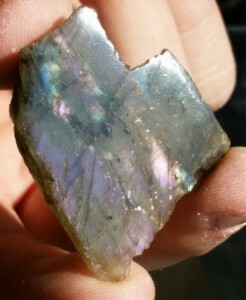 It was amazing how beautiful the crystals were when they first came out of the ground; I was hooked!! 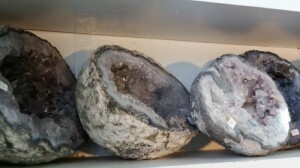 Some of the crystals we found were; 24 sided garnet balls, gem quality, black schoal tourmaline, watermelon tourmaline, rose quartz, smoky quartz and many other types of minerals. As the years passed by, my father eventually opened a mineral store in Upper Darby for a few years but then decided he wanted to “retire” down by the shore in Ocean City, NJ. He had his store in Ocean City until he passed away in 1981. 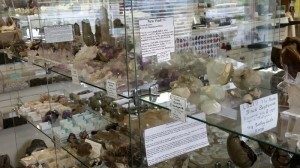 During those years I would assist him in buying minerals and work in the store to help him. In 1974 I was lucky to find my life’s partner (my wife Sherry) and we started out doing a little rock business ourselves. 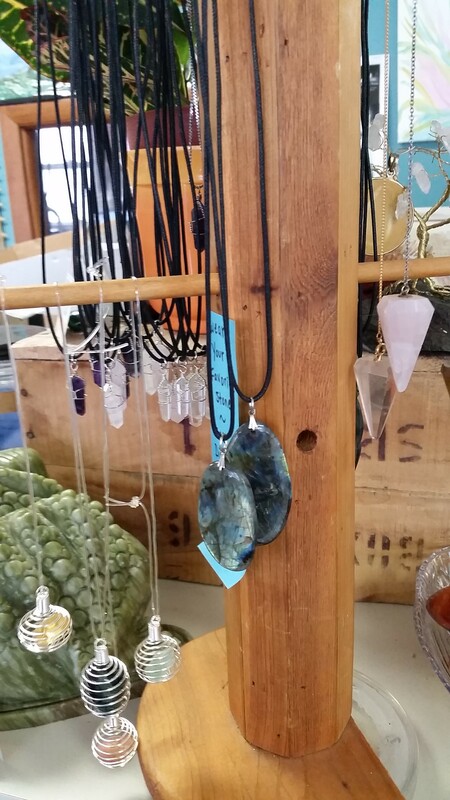 Our first attempt in selling minerals was at Phil’s Flea Market in West Chester. Our older son was less than a year old and he would go with us to the shows and play in his playpen while we talked with everyone. Also in 1974 I was fortunate to start my career as a polymer chemist at Rohm and Haas company. I was with Rohm and Haas for 30 years, retiring in 2003. At this time I knew I could not just sit around, so I opened up a small retail shop at Simply Storage in Downingtown. After 5 years we had the opportunity to move to our present address in a full time store operation and the doors opened up September, 2008. We have been blessed that the community has frequented our store and we have seen increased growth each year we have been here; for that I thank everyone. 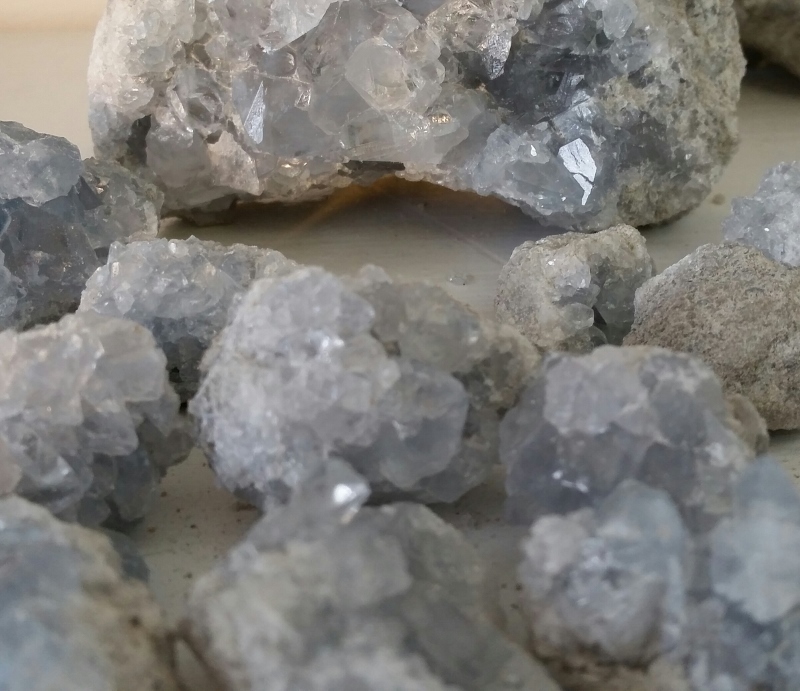 We can fulfill your rock, mineral, crystal, and gemstone needs through our very large inventory of mine-direct specimens. 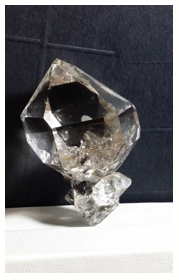 We have a large inventory of metaphysical minerals and you can check the separate metaphysical page. We purchase directly from the miners located all over the globe, therefore; we offer “rock bottom” prices. 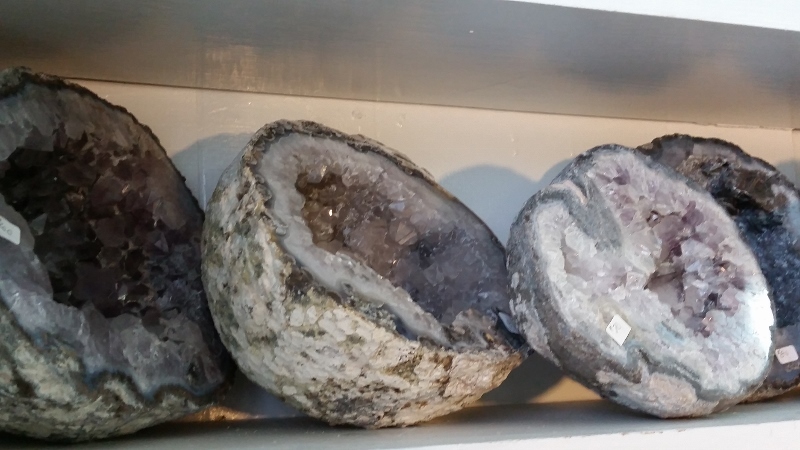 We feel our business is one of the largest suppliers of crystals and gemstones in the Mid-Atlantic region. 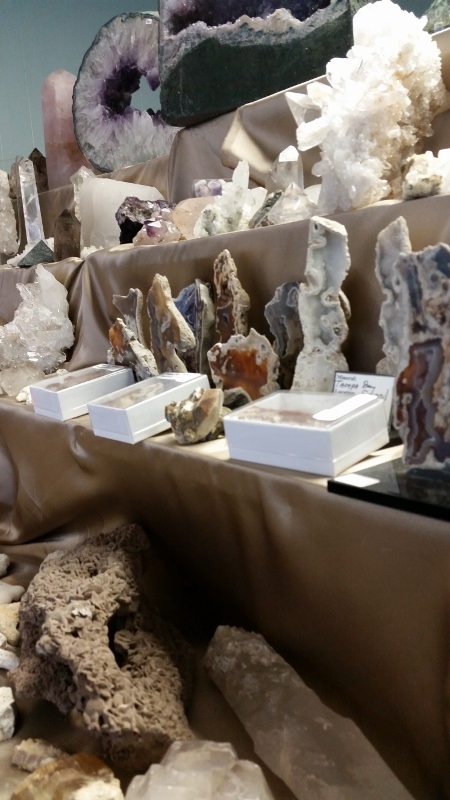 TJ’s is partnered with the many exporters of mineral specimens worldwide. If we don’t carry what you need in our inventory, please contact us and we will do our best to get you the materials that you need as fast as we can. We will give you fast, secure, and quality shipping. If you are in the Philadelphia area, you may set up an appointment to peruse our inventory or pick up your order. We also display our collections at various rock and mineral shows, so feel free to stop by and say hello. See the schedule here. We will make sure your trip is a worthwhile experience and we look forward to building on our already great customer relationships. Thank you for taking your time to view our web page. Please check back frequently, as our inventory is continually updated! We will make every effort to continually bring you the best-priced inventory in the area. You may email us if you have any questions or inquiries at: tomennis@earthlink.net. Feel free to call us or stop by to look at our current stock at our shop. 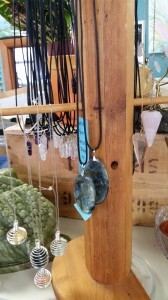 Phone orders are welcomed as we do accept VISA and MasterCard.